Leaks and news about the Samsung Galaxy Note 3 are multiplying ahead of its expected debut next month. The latest detail that has emerged about the device is that the Galaxy Note 3 is now unlikely to feature OIS (optical image stabilization) in its camera, although it seems future Samsung flagships such as the Galaxy S5 will step up to a 16-megapixel rear camera. Many people now use their smartphones as their primary camera, and so the camera set-ups on devices are becoming increasingly important. 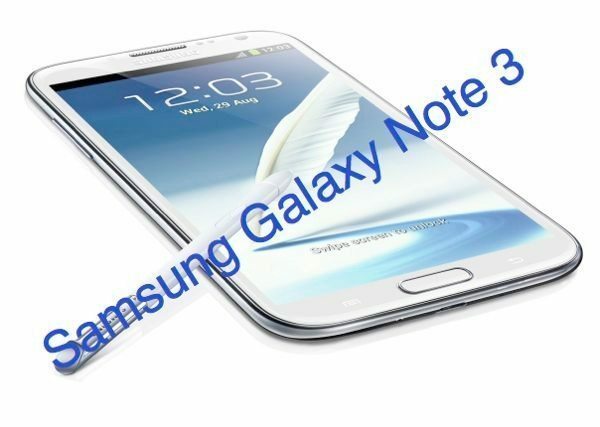 We’ve been passing on rumored and leaked specs for the Galaxy Note 3, some of which include a 5.68-inch Full HD display, either a Snapdragon 800 quad-core or Exynos Octa-core processor, 3GB of RAM, a 13-megapixel rear camera, and Android 4.3 Jelly Bean. We know from the many comments that we have received from readers that there is a huge amount of anticipation for the Note 3 and a vast wish list of features and specs. However, if you were hoping that the Galaxy Note 3 would feature OIS then you may be disappointed to hear that this now seems improbable. The Samsung Galaxy Note 2 features an 8-megapixel rear camera, while the latest flagship Galaxy S4 has a 13-megapixel camera. It has now been reported that future Samsung flagships will begin packing a 16-megapixel rear camera and that this could happen as early as next year, in time perhaps for the Galaxy S5. Presently some of Samsung’s camera-centric smartphones include a 16-megapixel sensor, such as the Galaxy S4 Zoom which also features OIS, but the news that this could be coming to Samsung’s flagship devices will please many. Samsung apparently has a 16-megapixel sensor in development that will incorporate OIS. However, it’s claimed that the Galaxy Note 3 will not benefit from optical image stabilization, as the company has not be able to source enough sensors enabled with OIS, so will scratch this idea for the Note 3. If the new report is accurate, the idea of 16-megapixel cameras for Samsung’s flagship devices next year is bound to go down well. Conversely, some potential Galaxy Note 3 customers may be disappointed that OIS may not make it to the device. It’s not too long now until the Samsung Unpacked event on September 4, so we should soon know every detail about the Samsung Galaxy Note 3 for sure. In the intervening time we’d welcome your comments about this latest Note 3 info. Were you hoping for OIS on the Note 3? Maybe you’re more interested in the idea that next year’s Galaxy S5 may advance to a 16-megapixel camera? I prefer OIS but if it’s not therethen so be it. Samsungmak es greatcam eras always since the Galaxy S2’s. What does OIS do exactly? It reduces fuzzy/blurred pictures from camera shake. All approaches rely on the camera monitoring camera movement/shake and then counter adjusting for it. Correction is done by either counter adjusting the lens, or the sensor (or potentially both), so that the image hitting the sensor is steadied on it for a sharper shot. (For video, each video frame may be digitally moved so the final clip has less shake – this isn’t optical image stabilisation, but digital stabilisation) For camera’s, OIS on the lens rather than the sensor is considered more superior, but it of course depends on the implantation of the technology. But it appears there’re not making good keyboard interfaces on your device. Ha ha. I might wait for the Note 4, I’ve already have the Note 2, and I really like it. The Note 3 seems to be getting less and less of an upgrade as the big day gets close. Without a 6″ screen, no Octa-core processor, and no OIS, I’m probably going to wait. I hear that a 64 bit ARM 50 SOC is due to be introduced next year that can handle more than 4 gigs of ram, so next year just might be the time to upgrade. Since most people have a hard time holding their phone still when taking a shot, OIS (Optical Image Stabilisation) is able to remove that shake and yield a better photo. Itâ€™s most important indoors or in lower lighting conditions.